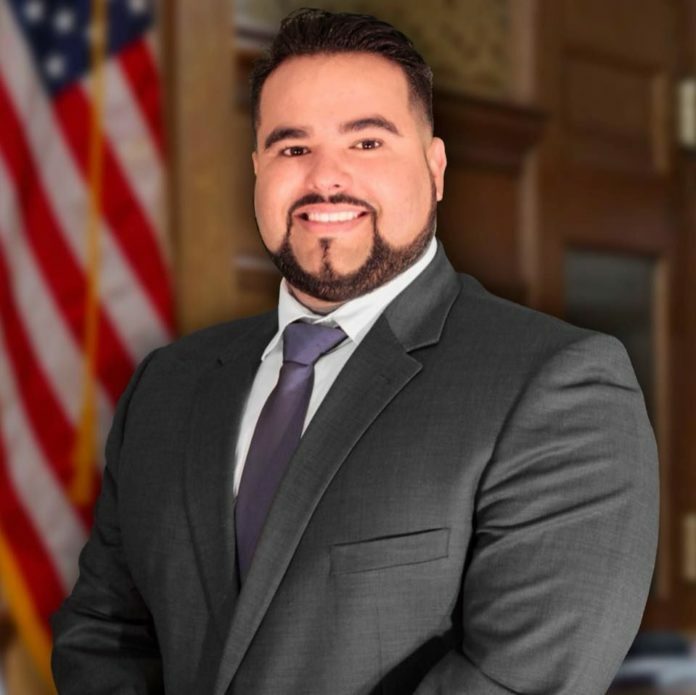 Jason Peña stepped down from his seat on the Edcouch-Elsa school board last week to focus on his relatively new role as Hidalgo County Precinct 5 justice of the peace, a jurisdiction previously abolished in 2011 by county commissioners. Peña would have completed a four-year term as a school board member in November, but he decided to step aside to provide the “full attention that the precinct needs,” he said. The Delta-area precinct — which includes Edcouch, Elsa, Monte Alto, La Villa, and Hargill — was shut down by commissioners after then-Precinct 5 Constable Eduardo “Walo” Bazan was convicted of driving a seized vehicle for personal use. Hidalgo County Judge Ramon Garcia, who was in favor of reopening the justice of the peace and constable offices, previously said the move to abolish the precinct was political in nature. The precinct had existed for a century before it was shut down. County commissioners, including Precinct 1 Commissioner David Fuentes, who represents the Delta area, re-established the precinct and appointed Peña to the position last year. During his campaign, Peña vowed to step down from the school board if he were to secure a full term as justice of the peace. In March, Peña secured the Democratic nomination for justice of the peace, and he faces no Republican challenger in the general election this November. He will be sworn in to the position for a four-year term in January. “I think the need is here for the precinct, and my job is to justify our precinct’s existence,” Peña said. He said he encourages residents to stop by the justice of the peace office located in Elsa. Robert Peacock was appointed to serve out the remainder of Peña’s term on the Edcouch-Elsa ISD Board of Trustees.